New Inklings Press-ents | Frankly, My Dear . . .
Merry Christmas! How exciting that it’s less than a week away. Are you ready? I’m so ready, I’m getting ready for next year already! Okay, not really. But almost really. I’ve definitely got plans. I may even venture into the world of day-after-Christmas shopping to find some amazing pack-it-away-for-eleven-months deals. But that’s next year, and that’s a little ahead of the game. This year, I have a few more gifts to give . . . to you! On Sunday, December 21, the Kindle edition of The Unemployment Cookbook will be available for just 99 cents – that’s well over $2.00 savings! And on December 24 and 25, both The Penny Parable and A Study on the Ten Commandments will be available to download for free. So if you’re gifting a Kindle to someone, or looking to add to your own, please enjoy these books, from me to you. Thanks so much, William. As always, it’s very appreciated. How exciting, Molly Jo! Have a very Merry Christmas and a healthy Happy New Year! Sylvia recently posted..Special Needs & Homeschooling LinkUp: Christmas Vacay! Thank you, Sylvia. To you and yours as well. See you around the Blogosphere! Merry Christmas, Mary! Keep on writing! 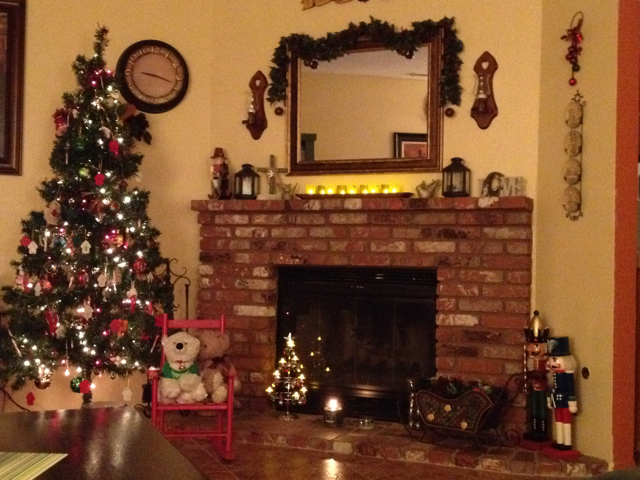 Your home looks so cozy and ready for Christmas. Wanted to stop by and wish you a Merry Christmas and all the best in 2015!! Thanks, Winnie. It was a nice season.